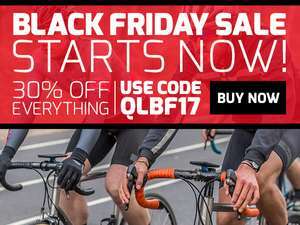 Any Cyclists out there, Quadlock have just sent out their 30% off Discount code, great saving, especially as i was looking at upgrading my case. Finally got myself one. Great deal. Heat added. How can I use this for a one plus 3? Not waterproof so can't use it without a case in rain..
How can I use this for a one plus 3? Not waterproof so can't use it …How can I use this for a one plus 3? Not waterproof so can't use it without a case in rain.. I think you can buy a cover from them, i got one originally but have an iphone which is semi waterproof so never bothered with it. Voucher posting newbie! This is lowermax first voucher post. Help out by leaving a posting tip or just to show your appreciation for their contribution.